The Winter Olympics get under way in February, and you don’t have to sit on the sidelines. After watching the world’s greatest athletes compete via television a half a world away in South Korea, you can get into the action and the Olympic spirit at Rockin’ Jump Trampoline Park, the closest and warmest you can get to participating in the Olympics. Featuring a wide variety of Olympic-themed attractions, Rockin’ Jump allows visitors to swap out their ice skates and snow skies for some high-flying fun in their sock feet. Rockin’ Jump’s arenas and play stations are designed with safety in mind while also giving patrons the opportunity to experience the thrill and challenge of the Olympic Games. The winter sport of basketball is actually played during the Summer Olympics, but roundball is a year-round sport at Rockin’ Jump. Put together your own Dream Team for a game of hoops, or show off your best dunk moves (with a little help from a trampoline) at Rockin’ Jump’s 360 Slam Dunk Zone, which allows patrons to soar and score like a pro. Follow in the footsteps of former Team USA stars like Michael Jordan, Magic Johnson, Larry Bird and LaBron James by grabbing some air and showing some serious hang time. Rockin’ Jump’s easy-grip basketballs are perfect for palming regardless of hand size, and the soft-sided goal, backboard and floor make for safe take-offs and landings. Basketball isn’t the only team sport at Rockin’ Jump. The Dodgeball Arena offers a spacious court with trampoline floors for a new twist to the popular schoolyard game. The closest Winter Olympic relative might be hockey, although the soft-toss balls and padded walls provide a safe spot for a dodgeball free-for-all. OK, if you think this Olympic sport involves building a fence, this ancient game of skill and swordsmanship might not be for you. But then again, Rockin’ Jump’s version of the sport isn’t exactly in keeping with the tradition. It’s more like a hybrid of fencing and the balance beam – two talents you can put on display on our X-Beam Jousting Pit. Featuring a narrow beam over a pit filled with padded cubes, the X-Beam allows two competitors to battle it out against gravity and each other as they go head to head with special soft-sided batons. Designed like a giant Q-Tip, the safety-proof batons are sturdy enough knock your opponent off balance without doing any physical harm. This fun-filled attraction keeps them coming back for more to see which one can be left standing and which one takes a spill in the pit. The X-Beam is closely monitored by one of our Jump Patrol Team members for an extra safe experience. Enjoy some friendly competition and healthy exercise with tournament play to see who is the real king of the beam. Kids literally go head over heels for Rockin’ Jump’s Open Jump Arena and Stunt Bag, which allow patrons to practice their best acrobatic moves with the added boost of our trampolines. Put some extra spring in your jumps and learn how to perform some more difficult maneuvers with high-performance trampolines and soft-loaded landing pits. Work out your own floor exercise routine, learn some gravity-defying moves, or simply get some exercise by bouncing and flipping on the soft, springy arena surface. The Open Jump and Stunt Bag are great places for parents to play with the little ones, especially during our Rockin’ Tots hours that allow parents and their toddlers to take over the play station for awhile. Rockin’ Jump also caters to more experienced jumpers, particularly gymnasts and acrobats looking for a place to work on their skills. 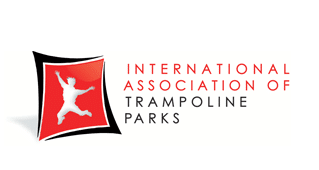 Other obstacles include Olympic rings and ropes over a trampoline surface. Fun fact: The trampoline was originally invented as a training tool for gymnasts it became an official Olympic sport in 2000. Rockin’ Jump has simply taken the sport to the next level. Speaking of new Olympic sports, fans can look forward to the latest addition to the Summer Games lineup in 2020 – sport climbing. As a sign of the growing presence of extreme sports in the sports mainstream, sport climbing prepares to bring the popular outdoor activities of rock climbing to the world’s biggest sports stage in Tokyo in just two years. Rockin’ Jump has its own version of sport climbing with our Vertical Ops Rock-Climbing Wall, a 30-foot cliff wall where climbers can test their skills on a replica of the real deal. Featuring safety harnesses and ropes that are controlled by a certified member of our Jump Patrol safety team, Vertical Ops offers handholds and foot pegs for scaling the wall. Climbers can celebrate the accomplishment of reaching the top by ringing a bell or siren that announces your triumph. Patrons can race against the clock or alongside a friend to see who can reach the summit first and fastest. If at first you don’t succeed, take a break on the other attractions before you try, try again. That’s the true Olympic spirit. OK, so spectating isn’t exactly an Olympic sport, but it is a popular pastime for folks who would rather leave the events to the experts. If you would rather stay on the sidelines and watch others do their thing on the play stations and arenas, Rockin’ Jump also has you covered for some serious relaxation rather than active participation. Parents who bring their kids to Rockin’ Jump are welcome to dive into the action with their little ones, but others chose to use the time to catch up on work emails or social media in the comfort of our adjoining Rockin’ Café. Enjoy a snack or a drink while you use the free WiFi to get things done while the children are working up a sweat, or host a birthday party or family night out pizza party for some family Olympic viewing. The Rockin Café features several big-screen TVs set up so that you can watch your favorite shows or catch up on the Olympics. Or you can keep an eye on the kids via closed-circuit TVs, which allow parents to keep tabs on the children on the arenas. Whether you watch the real Olympic athletes on TV or the future Olympians in person, Rockin’ Jump is the perfect place to let the youngsters play like an Olympian.